When it comes to business to business eCommerce, it’s important to consider your platform options carefully. Ask Yourself: How are you running your B2B business offline and what can a platform offer you in the online equivalent? What features or tools would make your life easier? What features or tools would make your customers lives easier? After creating your “must-have” and even your “nice-to-have” feature list, it’s time to start researching the B2B options on the market. We’ve done our own homework on our open source platform of choice; Magento; and we’ve compiled what we feel are the top 7 B2B features of Magento 2 Commerce. 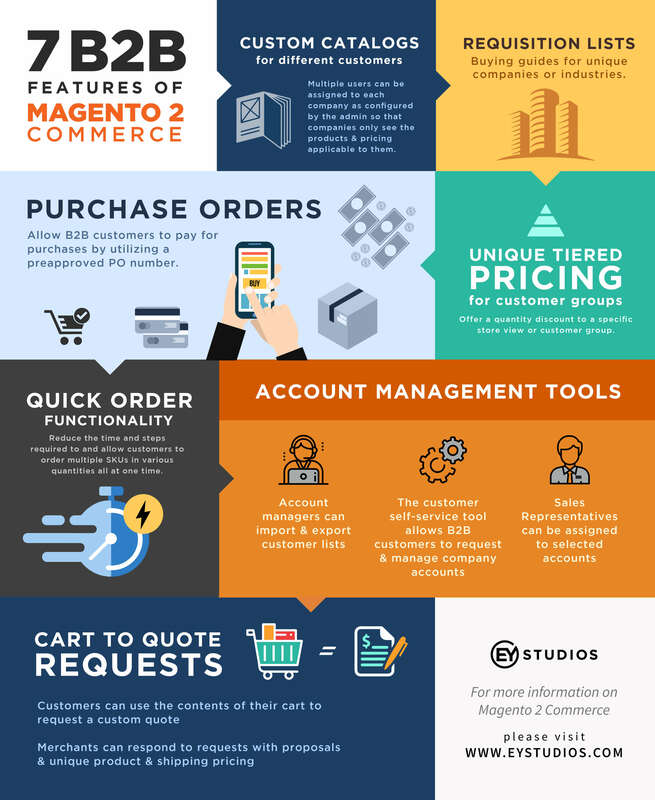 Want to learn more about building your B2B solution on Magento 2 Commerce? Call us at 888-429-4803 or email us info@eystudios.com.